In 2015, President Barack Obama declared, “I want the country that eliminated polio and mapped the human genome to lead a new era of medicine,” as he launched the Precision Medicine Initiative, now rechristened as the All of Us Research Program. The program’s overarching goal to accelerate the development of new, personalized strategies for preventing, diagnosing, and treating disease could revolutionize medicine. But it’s the method, which entails recruiting one million Americans to share information about their genes, environment, lifestyle, and health, that might make it the most ambitious study of its kind. Starting this November, All of Us will commence an expanded beta phase to prepare for its national launch in spring 2018. Testing the logistics of the program and collecting participant feedback has kept their program busy during the initial beta phase, but the announcement of a second beta phase means delaying the main event. The planned ten-year longitudinal study, which is expected to cost $4.3 billion over its lifetime, had discussed opening enrollment in 2016, but decided to wait. Now, with their enrollment numbers lagging, at a roughly only half of the projected number, speculators ask if they’re ready for flight or still just taxiing down the runway. 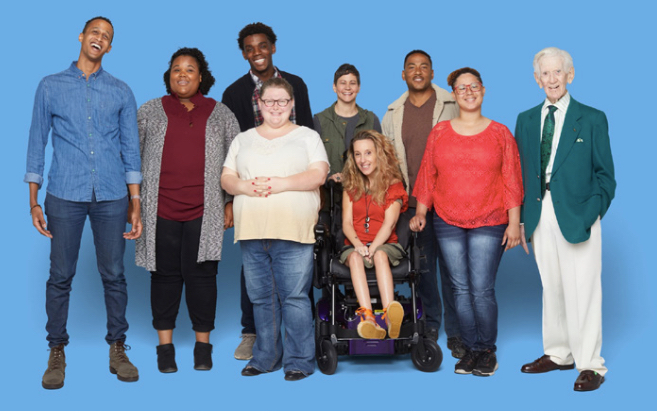 Despite the numbers, the National Institutes of Health All of Us Deputy Director, Stephanie Devaney, Ph.D., remains optimistic as the program surpasses 5,000 enrollees. “We had originally hoped that we would have about 10,000 [beta testers] based on our projection for the number of sites that could come on board over the spring and summer,” she said. All of Us’ conservative approach allowed only one or two enrollment sites onboard at a time, and, while the sites currently enrolling participants have met their numbers, Devaney said “getting all of the legal agreements into place amongst the sites” has taken longer than expected. Not only does each enrollment site need to establish contracts, such as interconnection security agreements, which protect data en route, they also must undergo a rigorous approval process by an Institutional Review Board (IRB). Thirteen of the healthcare provider organization (HPO) sites partnered with All of Us have now started patient enrollment. Devaney anticipates the remaining four HPO sites, and the majority of direct volunteer sites, will begin enrollment in the coming months—putting them back on track for the national launch. The San Diego Blood Bank is the first direct volunteer site to begin enrolling participants, and, according to CEO David Wellis, Ph.D., “It was about a year between making the announcement that we were awarded our grant and actually registering participants.” As they navigated the already complicated skies of IRB-approval for the large-scale study, Wellis commented “at times it felt like we were building the plane as we were in flight,”—especially amid the turbulence of administrative change. The diversity represented by the San Diego Blood Bank is significant, as All of Us seeks to address the lack of patient diversity in clinical research data. This has created inequity in the current healthcare system as the critical mass of health data needed to make more precise diagnoses and deliver healthcare tailored to each individual is often lacking among certain ethnic groups including, but not limited to, African Americans. Since they already serve the spectrum of metropolitan and rural populations across America, direct volunteer sites—which can conduct the clinical component of the study after participants register online—offer a tactical advantage over HPOs for engaging these underrepresented populations. Sync for Science, a pilot project funded by All of Us, will allow individuals who register via direct volunteer sites to donate their health information to the study directly. Sharing electronic health records (EHR) is not required to participate in the program, but coupling EHR data with patient information from surveys to go along with their biospecimens will be valuable assets to the program, to help generate more detailed data on health and disease progression among participants over the ten-year study. Although a very low percentage (~2%) of participants have declined to share their EHRs, a larger proportion (~20%) have neither declined nor consented, and All of Us plans to redesign its digital workflow to prevent users from skipping the EHR authorization step and increase the number of patients consenting use of the data in their health records. As All of Us approaches its national launch, Wellis believes that “engage- ment will be driven by what the par- ticipant gets back—and I’m not talking about a T-shirt or a coffee mug.” America is eager to learn more about its health, and the participant-driven model adopted by All of Us, which promises to share results with partici- pants, may provide the right incentive to engage patients in this landmark study. “It won’t happen overnight,” wrote former-President Obama, “but once again we’re standing at the door- step of discovery,” And All of Us is looking forward to opening its doors to the nation this spring.